CHIAVARI, Italy – Christmas in Chiavari is a very special time. 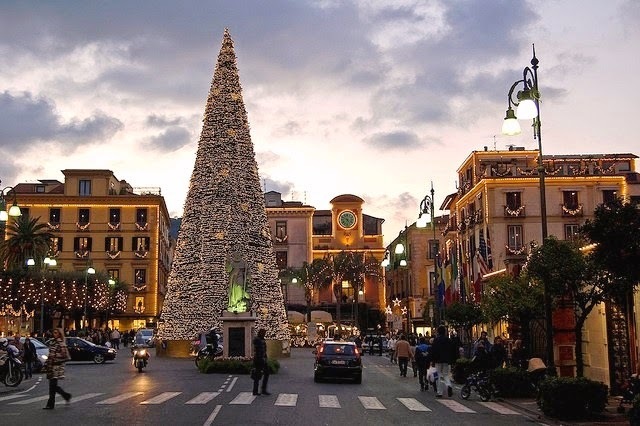 The streets of town are full of sparkly lights, red poinsettia decorate shop windows, and you might even find a Christmas tree or two in the in some of the small piazzas. It’s a time of family, food, music and the wonder of miracles. But pretty as the sparkly lights and poinsettia are, they are not what Christmas in Italy is truly about. It is about celebrating the birth of Christ. Most holidays in Italy center on church designated holy days, and some of the holidays are re-worked versions of pagan holidays celebrated by the ancient Romans. While Christmas isn’t a re-worked pagan holiday, back in the days of the Roman Empire the Romans did celebrate during the period we now think of as our Christmas season. Their holiday was called Saturnalia and it was celebrated from December 17th to the 24th. It was a whoopee-doo time of feasting, drinking and dancing in the streets. We may not celebrate Saturnalia any more, but not all of the old ways are lost. One really old tradition that still survives in some parts of Italy is the burning of a Christmas log on Christmas Eve. At one time burning a log or tree stump was a clever way to disguise an older pagan tradition, one that symbolized the final ending of the old year by burning away whatever evil it had had in it. Out with the old and in with the new. The ritual went like this: the head of the household would put a log in the family fireplace, say a prayer, put a coin on the log and set the whole business on fire. The youngest member of the family would then have to sing a song or recite a poem before being allowed to pick up the coin. The fire was usually left to burn while the family went to midnight mass, symbolically allowing the Virgin Mary to enter their home and warm the baby Jesus. 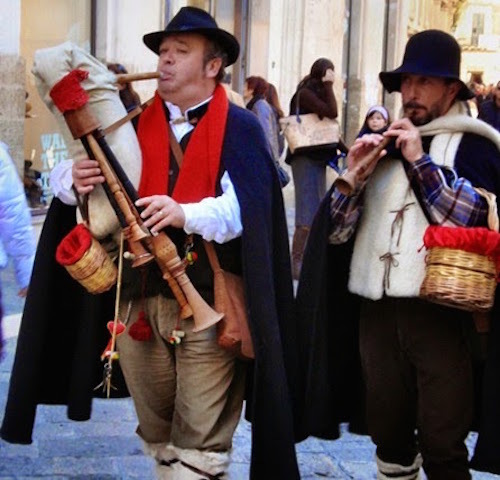 Another very old Christmas tradition is that of the zampognari (bagpipers). It too dates back to the ancient Romans. It is based on a legend of shepherds visiting the Virgin Mary in Bethlehem, and after seeing the baby Jesus, they took out their bagpipes and played. Still today, in remembrance of that moment, if pipers see a public nativity scene they will stop in front of it for a few moments of quiet contemplation and respect before they move on. 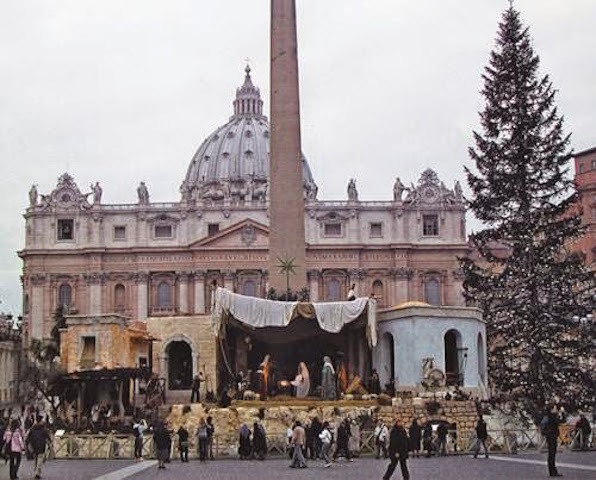 But perhaps the most famous of all Italian Christmas traditions is the nativity crèche. The first manger, as we think of mangers today, was created by St. Francis of Assisi in 1223. He used real people and live animals so his illiterate congregation could understand the true meaning of Christmas. Over the years the idea morphed into using figurines. During the holidays Christian churches in Italy, as well as banks, post offices, train stations and other public buildings used to all have nativity crèches on display. Unfortunately there seem to be fewer of them these days. Even kids used to work together to recreate a manger in the main entrances of their schools, ready to greet visiting parents and relatives. In the days leading up to Christmas many Italian families make it point to visit the churches in their town as part of the late afternoon stroll, the passeggiata. You often see grandparents with their grandchildren standing in front of the crèches in local churches as they tell them the story of Mary and Jesus. Even shoppers rushing around buying gifts for the holidays will often take a break and pop into the closest church to see its version of the baby Jesus and the stable in Bethlehem. 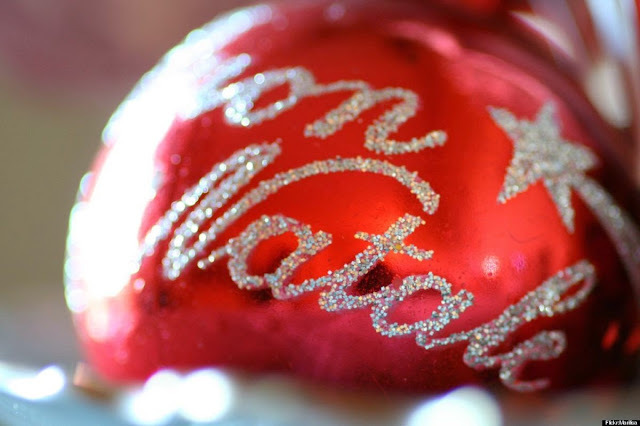 For Italians Christmas is a religious holiday much more than a gift-giving holiday. The gifts come later on January 5th, the eve of the Epiphany. 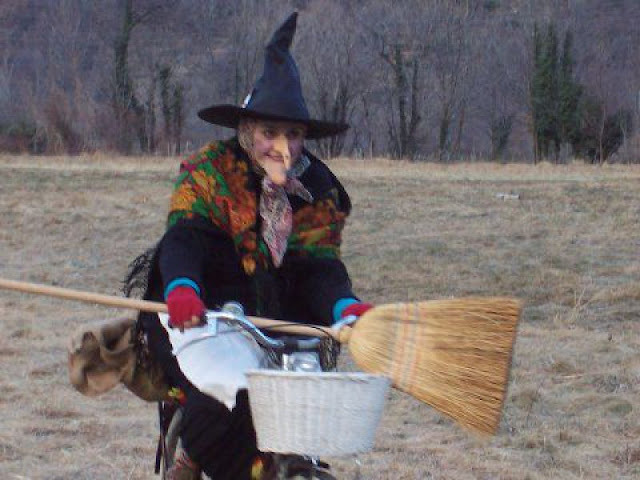 I remember my father, who grew up in Italy, talking about how thrilled he was to find an orange or some candies from the Befana – the good witch in his Epiphany stocking. Like Santa Claus, the Befana also flies from roof top to roof top bringing gifts, but instead of riding in a sleigh pulled by reindeer, she rides a broom, or a donkey, or maybe even a bike. But however those oranges got to my father’s stocking, it must have been quite a trip getting them up to that hill town of Piansano in northern Lazio in those early days of the 1900’s. 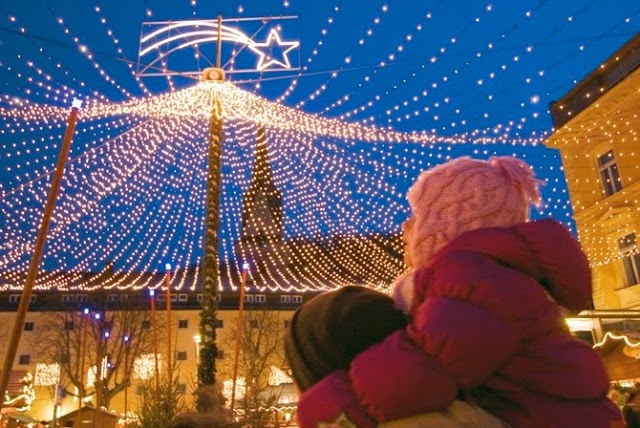 Many Italian Christmas traditions like gift bringing witches, bag-piping shepherds, mangers large and small and tree burning ceremonies are a mix of religious and popular customs that date back thousands of years. As the years pass, each region develops its own special way of celebrating Christmas that has a special meaning to the people who live there, but the focus is always on the importance of the holiday – the celebration of the birth of Christ. The Italians know it’s different in other parts of the world where a jolly old man, a guy with a simple one night mission, nine cute reindeer and a single catchy tune has just about wiped out the religious aspect of Christmas. They don’t want it to happen here and you often here them complain about the foreign assault on their culture. If you think about it, even a Christmas tree in the piazza is a big concession to non-Italian Christmas traditions. But traditions evolve and who knows if at some point we’ll start to see pictures of old Santa twirling a forkful of spaghetti or spooning into a bowl of minestrone soup. Italians being Italians will certainly figure out some way to make him their own, part of the family – the most important element of Italian life, and I’m pretty sure that is one thing that will never change. Buon Natale tutti. See you after the holidays.